Peace Comes From Within. Death Comes From Without. Amit is a member of the order of shadow monks, his every waking moment is spent training his body and mind to the peak of human ability – and beyond. But the order is pacifist, a repository for deadly weapons with their safeties permanently set to “on.” Until everything is taken from him, and Amit decides that turning the other cheek is no longer an option. Now, every ounce of his training will be put to the test. His epic quest for revenge will see wrongs righted – or see Amit forgotten in an unmarked grave. 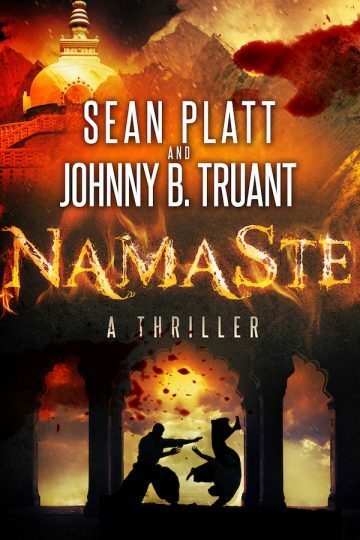 Namaste includes Prelude, as well as the rest of the adventure. Join Amit as he chases Nisha's killer from boss to boss, all the way to the last place he ever expected. He will fight, and die if he must. What will be, will be. It's a Zen thing. ˃˃˃ WARNING: Namaste is the most violent thing Realm & Sands has so far written. An Unlikely Tale of Vengeance Like Nothing You've Read!